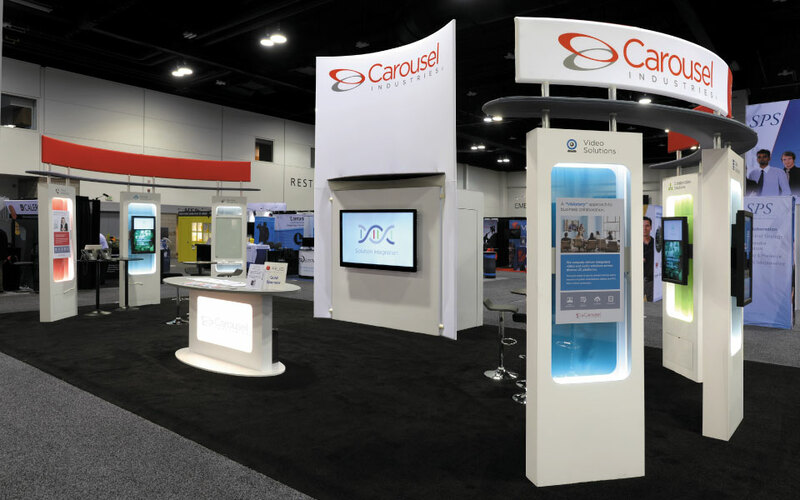 Carousel Industries is a full service technology provider. 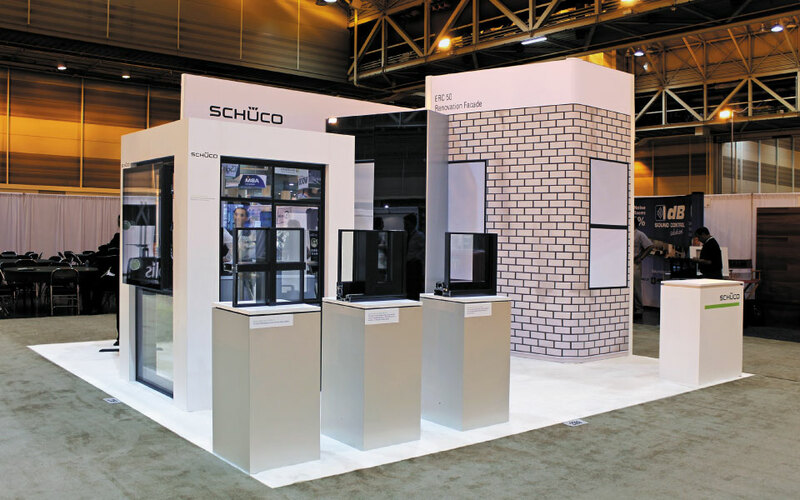 The design challenge was to highlight their full line of capabilities while reflecting their corporate identity. 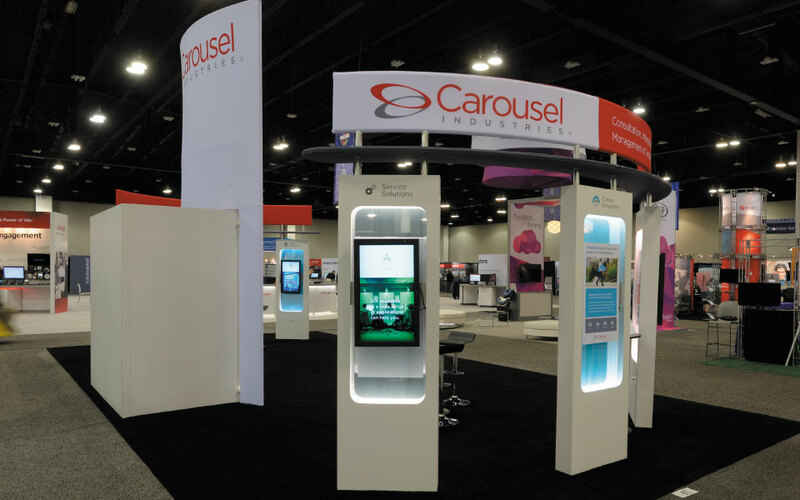 The Carousel Industries 20×40 island exhibit, resembled a traditional carousel while giving form to the Carousel brand. Six double-sided stations incorporated monitors for demonstrations. 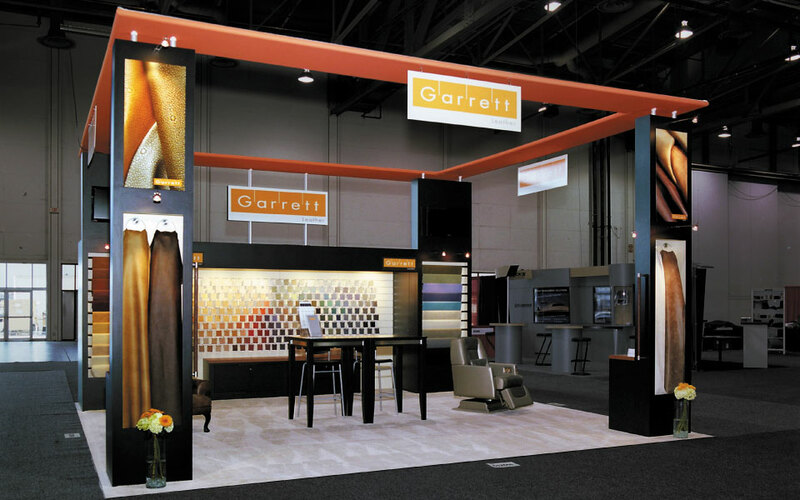 Color coordinated logos and sheer banners differentiated the product stations while internal lighting created a warm inviting glow. 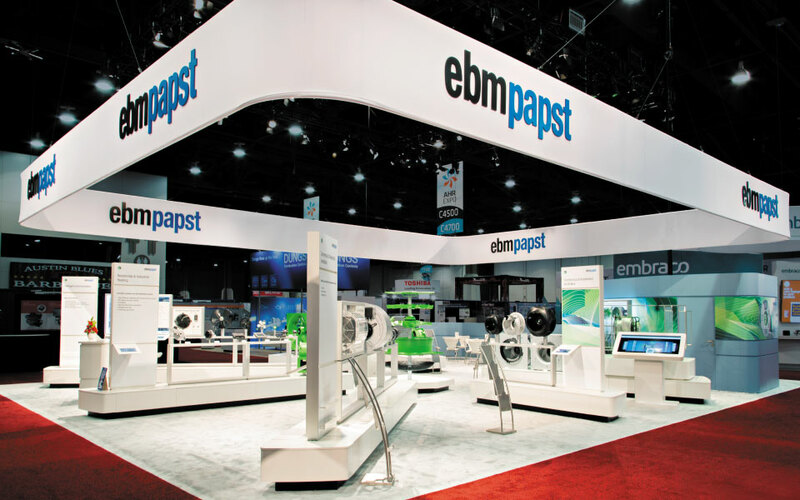 Curved canopies and headers tied the look together while displaying their corporate logo colors. 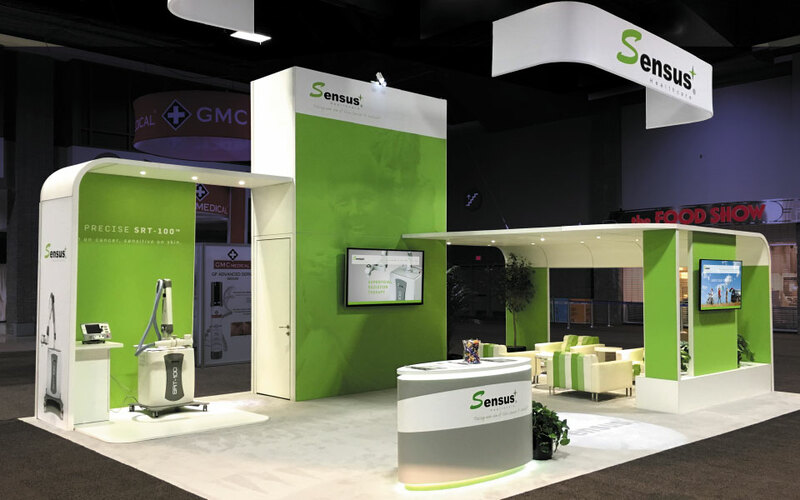 A 16’ tower supported a 70” monitor for additional group demos. 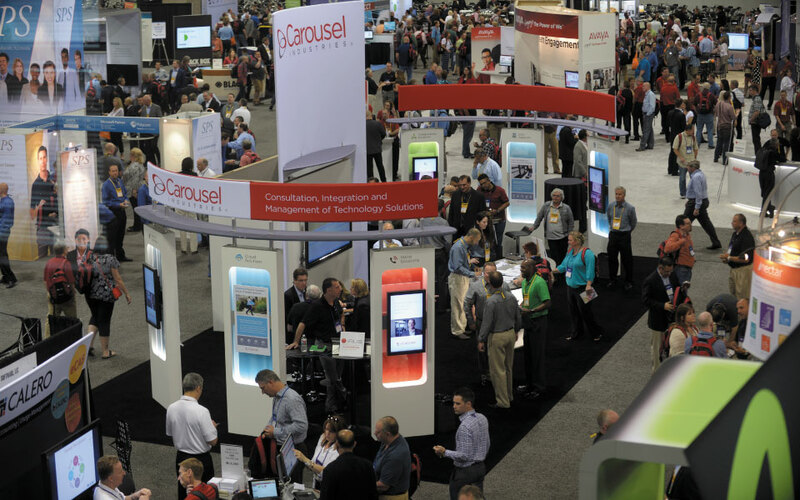 A strategically placed logo gave high visibility on the IAUG Converge floor.